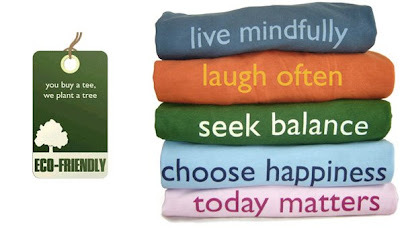 I just discovered this great company, Tees for Change (via the aptly named Cool Mom Picks). Started by a bold and entrepreneurial Mama, Andreea Ayers, the company's mission is "to inspire you to live your life with passion, purpose and positivity." 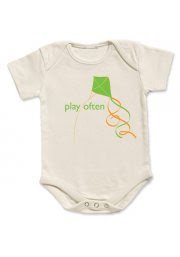 Their tees and onesies are made from organic cotton and bamboo and emblazoned with uplifting messages. Need another reason to buy one? For ever tee or onesie you buy, Tees for Change will plant a tree.